This Pole Horse gives you leverage to manually raise center tent poles, 5" in diameter or smaller, with ease. The pins inside the collar of the pole horse fit into the rope holes on the tent pole and lock into place. 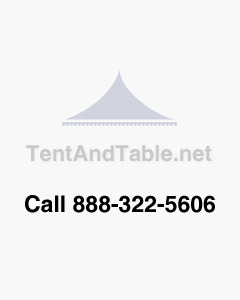 Two people can use the pole horse to lift the center tent pole into an upright position once the pole pin is placed in the grommet hole of the canopy.